Tax Advice is a full service Accounting, Bookkeeping, Tax, and Payroll Processing firm in Delaware serving the needs of the small to medium size business since 1986. 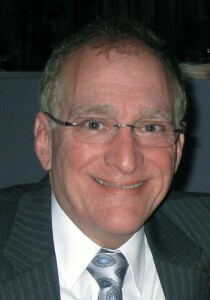 Owner, Stan Weinbrum, was a graduate of The University of Miami with focus on Accounting and Finance. As an Accountant, his early years led him to become Chief Financial Officer (CFO) of a regional office products company. That experience of running an actual business gave him a true sense of the challenges that business owners face day to day and how to overcome them in order to build a thriving business. It was through his financial and business acumen that he established his future goal of opening his own Accounting firm in order to work with other small to medium size business owners. With Tax Advice, now over 29 years in business, Stan is able to relate to each of his clients from their business side and not just from behind the desk. A true value. He helps his clients achieve their own goals financially, helps them minimize their taxes while giving them peace of mind in their business and also in their financial lives. Stan works with his clients and the needs that they have…be it monthly, quarterly, and/or yearly. And, as our name Tax Advice depicts, Stan offers both business owners and individuals his experience and knowledge of all current and upcoming tax laws in tax preparation. In addition, Stan believes that no business should be without professional Accounting and Tax services and therefore, should be affordable…. At Tax Advice, our clients will never pay for Advice….be it on the phone or in person! At Tax Advice, our clients will never pay by the hour….our fees are on a flat rate basis per need! Tax Advice is located at 25 West Market Street, Newport, DE 19804 serving business owners and individuals from Delaware, Maryland, and Pennsylvania.